Zhang, Yijia, Ozan Tuncer, Fulya Kaplan, Katzalin Olcoz, Vitus J. Leung, Ayse K. Coskun, "Level-Spread: A New Job Allocation Policy for Dragonfly Networks," Conference Paper, IPDPS, May 2018. Kaplan, Fulya, Ozan Tuncer, Vitus J Leung, Karl Scott Hemmert, Ayse K Coskun, "Unveiling the Interplay Between Global Link Arrangements and Network Management Algorithms on Dragonfly Networks," Conference Paper, CCGrid, May 2017. Tuncer, Ozan, Emre Ates, Yijia Zhang, Ata Turk, James M Brandt, Vitus J Leung, Manuel Egele, Ayse K Coskun, "Diagnosing Performance Variations in HPC Applications Using Machine Learning," Conference Paper, ISC HPC, June 2017. Tuncer, Ozan, Yijia Zhang, Vitus J Leung, Ayse K Coskun, "Task Mapping on a Dragonfly Supercomputer," Conference Paper, IEEE High Performance Extreme Computing, September 2017. Unat, Didem, Anshu Dubey, Torsten Hoefler, John Shalf, Mark Abraham, Mauro Blanco, Bradford L Chamberlain, Romain Cledat, Harold Carter Edwards, Hal Finkel, Karl Fuerlinger, Frank Hannig, Emmanuel Jeannot, Amir Kamil, Jeff Keasler, Paul H J Kelly, Vitus J Leung, Hatem Ltaief, Naoya Maruyama, Chris J Newburn, Miquel Pericas, "Trends in Data Locality Abstractions for HPC Systems," Journal Article, IEEE Transactions on Parallel and Distributed Systems, Vol. PP, No. 99, pp. 1–14, Article No. 21, Accepted/Published May 2017. Balzuweit, Evan, David P Bunde, Vitus J Leung, Austin Finley, Alan C.S. Lee, "Local search to improve coordinate-based task mapping," Journal Article, Parallel Computing, Vol. 51, pp. 67–78, Accepted/Published January 2016. Hastings, Emily, David Rincon-Cruz, Marc Spehlmann, Sofia Meyers, Anda Xu, David P Bunde, Vitus J Leung, "A Comparison of Dragonfly Global Link Arrangements and their Implications for the Scheduling of Communication," Presentation, New Challenges in Scheduling Theory, April 2016. Hastings, Emily, David Rincon-Cruz, Marc Spehlmann, Sofia Meyers, Anda Xu, David P Bunde, Vitus J Leung, "Comparing Global Link Arrangements for Dragonfly Networks," Presentation, Boston University, February 2016. Hastings, Emily, David Rincon-Cruz, Marc Spehlmann, Sofia Meyers, Anda Xu, David P Bunde, Vitus J Leung, "Comparing Global Link Arrangements for Dragonfly Networks," Presentation, SIAM Conference on Parallel Processing for Scientific Computing, April 2016. Balzuweit, Evan, David P Bunde, Vitus J Leung, Austin Finley, Alan C. S. Lee, "Local search to improve task mapping," Presentation, Invited Talk at SIAM CSE, March 2015. Devine, Karen D., Erik G. Boman, Sivasankaran Rajamanickam, Vitus J. Leung, Lee Ann Riesen, Mehmet Deveci, Umit V Catalyurek, "The Zoltan2 Toolkit: Partitioning, Task Placement, Coloring and Ordering," Presentation, SIAM Conference on Computational Science and Engineering, March 2015. Egele, Manuel, Ayse K. Coskun, Vitus J Leung, "Rapid Detection of Malicious Behavior in Exascale Systems," Abstract, DOE ASCR Cybersecurity Workshop, January 2015. Hastings, Emily, David Rincon-Cruz, Marc Spehlmann, Sofia Meyers, Anda Xu, David P. Bunde, Vitus J. Leung, "Comparing global link arrangements for Dragonfly networks," Conference Paper, IEEE Cluster, September 2015. Hastings, Emily, David Rincon-Cruz, Marc Spehlmann, Sofia Meyers, Anda Xu, David P. Bunde, Vitus J Leung, "Comparing Global Link Arrangements for Dragonfly Networks," Presentation, Lawrence University, October 2015. Leung, Vitus, Manuel Egele, Ayse Coskun, "M&Ms: Measure and Manage Exascale-System Behavior for Security and Integrity," Abstract, ASCR Cybersecurity for Scientific Computing Integrity Workshop, June 2015. Tuncer, Ozan, Vitus J Leung, Ayse K. Coskun, "PaCMap: Topology Mapping of Unstructured Communication Patterns onto Non-contiguous Allocations," Conference Paper, 29th International Conference on Supercomputing, June 2015. Balzuweit, Evan, David P Bunde, Vitus J Leung, Austin Finley, Alan C.S. Lee, "Local search to improve task mapping," Conference Paper, P2S2, September 2014. Brandt, James M., Karen D. Devine, Ann C. Gentile, Vitus J. Leung, Stephen Lecler Olivier, Kevin Pedretti, Sivasankaran Rajamanickam, David Bunde, Mehmet Deveci, Umit V. Catalyurek, "Using architecture information and real-time resource state to reduce power consumption and communication costs in parallel applications," SAND Report, September 2014. Bunde, David P, Vitus J Leung, Kevin T Pedretti, "Metrics for Task Mapping Stencil Computations to Non-Contiguous Allocations," Poster, Conference on Data Analysis 2014 (CoDA 2014), March 2014. Bunde, David P, Vitus J Leung, "PreMAS: Simulator for Resource Management," Conference Paper, SRMPDS, September 2014. Devine, Karen D., Gerrett Diamond, Daniel Ibanez, Vitus J. Leung, Andrey Prokopenko, Sivasankaran Rajamanickam, Mark Shephard, Cameron Smith, "FASTMath Partitioning and Task Placement," Poster, DOE SciDAC Principal Investigators' Meeting, July 2014. Leung, Vitus J, David P Bunde, Jonathan Ebbers, Stefan P Feer, Nickolas W Price, Zachary D Rhodes, Matthew Swank, "Task Mapping Stencil Computations for Non-Contiguous Allocations," Poster, PPoPP'14, February 2014. Leung, Vitus J, Sivasankaran Rajamanickam, Kevin T Pedretti, Stephen L Olivier, Karen D Devine, Mehmet Deveci, Umit Catalyurek, David P Bunde, "Zoltan2: Exploiting Geometric Partitioning in Task Mapping for Parallel Computers," Presentation, Invited Talk at PADAL Workshop 2014, April 2014. Meng, Jie, Samuel McCauley, Fulya Kaplan, Vitus J Leung, Ayse K Coskun, "Simulation and optimization of HPC job allocation for jointly reducing communication and cooling costs," Journal Article, Sustainable Computing, Accepted/Published June 2014. Tate, Adrian, Amir Kamil, Anshu Dubey, Armin Grlinger, Brad Chamberlain, Brice Goglin, Carter Edwards, Chris J Newburn, David Padua, Didem Unat, Emmanuel Jeannot, Frank Hannig, Gysi Tobias, Hatem Ltaief, James Sexton, Jesus Labarta, John Shalf, Karl Fuerlinger, Kathryn O'Brien, Leonidas Linardakis, Maciej Besta, Marie-Christine Sawley, Mark Abraham, Mauro Bianco, Miquel Pericas, Naoya Maruyama, Paul Kelly, Paul Messmer, Robert B Ross, Romain Cledat, Satoshi Matsuoka, Thomas Schulthess, Torsten Hoefler, Vitus Leung, "Programming Abstractions for Data Locality," Report, 2014 Workshop on Programming Abstraction for Data Locality, November 2014. Bender, Michael A, David P Bunde, Vitus J Leung, Samuel McCauley, Cynthia A Phillips, "Efficient scheduling to minimize calibrations," Conference Paper, SPAA'2013, July 2013. Bunde, David P, Jonathan Ebbers, Stephan P Feer, Vitus J Leung, Nickolas W Price, Zachary D Rhodes, Matthew Swank, "Task Mapping for Non-contiguous Allocations," Poster, The International Conference for High Performance Computing, Networking, Storage and Analysis, November 2013. Lindsay, Alexander M, Maxwell Galloway-Carson, Christopher R Johnson, David P Bunde, Vitus J Leung, "Backfilling with guarantees granted as jobs arrive," Journal Article, Concurrency and Computation: Practice and Experience, Vol. 25, No. 4, pp. 513–523, Accepted/Published April 2013. Rajbhandary, Avinab, David P Bunde, Vitus J Leung, "Variations of conservative to improve fairness," Conference Paper, 17th Workshop on Job Scheduling Strategies for Parallel Processing, May 2013. Leung, Vitus J., David P. Bunde, Peter Walker, "Algorithms for Processor Allocation and Task Mapping," Presentation, Invited Talk at SIAM Conference on Parallel Processing for Scientific Computing, February 2012. Rodrigues, Arun F, Keren Bergman, David P Bunde, Elliot Cooper-Balis, Kurt B Ferreira, K Scott Hemmert, Brian W Barrett, Cassandra Versaggi, Robert Hendry, Bruce Jacob, Hyesoon Kim, Vitus J Leung, Michael J Levenhagen, Mitchelle Rasquinha, Rolf Riesen, Paul Rosenfeld, Maria del Carmen Ruiz Varela, Sudhakar Yalamanchili, "Improvements to the Structural Simulation Toolkit," Conference Paper, SIMUTools, March 2012. Ebeida, Mohammed S, Scott A Mitchell, Patrick Knupp, Vitus J Leung, "Conforming Voronoi Meshing Based on Maximal Poisson Sampling," Conference Paper, FEMTEC 2011, May 2011. Lindsay, Alexander M, Maxwell Galloway-Carson, Christopher R Johnson, David P Bunde, Vitus J Leung, "Backfilling with guarantees granted upon job submission," Conference Paper, 17th International European Conference on Parallel and Distributed Computing, September 2011. Johnson, Christopher R, David P Bunde, Vitus J Leung, "Tie-Breaking Strategies for Processor Allocation in Meshes," Conference Paper, 6th International Workshop on Scheduling and Resource Management for Parallel and Distributed Systems, September 2010. Leung, Vitus J, Randall A LaViolette, "Braess-like Paradoxes on a Bipartite Exchange Network: More Connections Are Not Always Better," Presentation, Invited Talk at Workshop on New Challenges in Scheduling Theory, September 2010. Leung, Vitus J, Gerald Sabin, P Sadayappan, "Parallel Job Scheduling Policies to Improve Fairness: A Case Study," Workshop Paper, 6th International Workshop on Scheduling and Resource Management for Parallel and Distributed Systems, September 2010. Ollivier-Gooch, Carl, Lori Diachin, Mark S Shephard, Timothy Tautges, Jason Kraftcheck, Vitus Leung, Xiaojuan Luo, Mark Miller, "An Interoperable, Data-Structure-Neutral Component for Mesh Query and Manipulation," Journal Article, ACM Transactions on Mathematical Software, Accepted/Published March 2010. Walker, Peter, David P Bunde, Vitus J Leung, "Faster High-Quality Processor Allocation," Conference Paper, 11th LCI International Conference on High-Performance Cluster Computing, March 2010. Leung, Vitus J, Robert D Carr, Randall A Laviolette, Cynthia A Phillips, "Deterministic Integer-Programming Methods for Generating Graphs with Specific Properties," Presentation, Invited Talk at INFORMS Annual Meeting, October 2009. Leung, Vitus J, Alessio Carosi, William E Hart, Cynthia A Phillips, "Using SUCASA, Developing Integer Programming Solver Customizations Using Natural Names," Presentation, Contributed Talk at INFORMS Computing Society (ICS) Conference, January 2009. Leung, Vitus J., "ITAPS Load Balancing Service," Presentation, Invited Talk at SIAM Conference on Computational Science and Engineering, March 2009. Leung, Vitus J., "Sandia OpenCPA2 Home Page," Web Page, http://www.cs.sandia.gov/~vjleung/SandiaOpenCPA2HomePage.htm, February 2009. Thebe, Ojaswirajanya, David P. Bunde, Vitus J. Leung, "Scheduling Restartable Jobs with Short Test Runs," Conference Paper, 14th Workshop on Job Scheduling Strategies for Parallel Processing, May 2009. Bender, Michael A., David P. Bunde, Erik Demaine, Sandor P. Fekete, Vitus J. Leung, Henk Meijer, Cynthia A. Phillips, "Communication-Aware Processor Allocation for Supercomputers: Finding Point Sets of Small Average Distance," Journal Article, Algorithmica, Accepted/Published May 2008. Irani, Sandra S., Vitus J. Leung, "Probabilistic Analysis of Scheduling with Conflicts," Journal Article, Theoretical Computer Science, Accepted/Published May 2008. Leung, Vitus J., Michael A. Bender, David P. Bunde, Kevin Pedretti, Cynthia A. Phillips, "New Experimental Results in Communication-Aware Processor Allocation for Supercomputers," Presentation, Invited talk at CIRM Workshop on New Challenges in Scheduling Theory, May 2008. Leung, Vitus J., Karen D. Devine, "Zoltan Load Balancing Approaches," Presentation, Invited Talk at SIAM Conference on Parallel Processing for Scientific Computing , March 2008. Boman, Erik G, Karen D Devine, Robert T Heaphy, Bruce A Hendrickson, Vitus J Leung, Lee An Riesen, Courtenay T Vaughan, Umit V Catalyurek, Doruk Bozdag, William F Mitchell, "Zoltan v3: Parallel Partitioning, Load Balancing and Data-Management Services--Developer's Guide," Report, July 2007. Boman, Erik G, Karen D Devine, Robert T Heaphy, Bruce A Hendrickson, Vitus J Leung, Lee Ann Riesen, Courtenay T Vaughan, Umit V Catalyurek, Doruk Bozdag, William F Mitchell, James D Teresco, "Zoltan v3:Parallel Partitioning, Load Balancing and Data-Management Services--User's Guide," Report, July 2007. Leung, Vitus J, Gerald Sabin, P Sadayappan, "Fairness in Job Scheduling on Cplant," Presentation, Invited talk at CIRM Workshop on Scheduling Algorithms for New Emerging Applications, June 2006. Bender, Michael A., David P. Bunde, Erik D. Demaine, Sandor P. Fekete, Vitus J. Leung, Henk Mejer, Cynthia A. Phillips, "Communication-Aware Processor Allocation for Supercomputers," Conference Paper, International Workshop on Algorithms and Data Structures, Waterloo, Canada, August 2005. Bunde, David P., Vitus J. Leung, Jens Mache, "Communication Patterns and Allocation Strategies," Conference Paper, Workshop on Performance Modeling, Evaluation, and Optimization of Parallel and Distributed Systems, Santa Fe, NM, April 2004. Irani, Sandra S., Vitus J. Leung, "Scheduling with Conflicts on Bipartite and Interval Graphs," Journal Article, Journal of Scheduling, Accepted/Published May 2003. Leung, Vitus J., Cynthia A. Phillips, Michael A. Bender, David P. Bunde, "Algorithmic Support for Commodity-based Parallel Computing Systems," SAND Report, October 2003. Leung, Vitus J., John DeLaurentis, "Maximum Utilization of Parallel Computers," Conference Paper, Hawaii International Conference on Statistics, Honolulu, HI, June 2002. Leung, Vitus J., Esther M. Arkin, Michael A. Bender, David P. Bunde, Jeanette R. Johnston, Alok Lal, Joseph S. B. Mitchell, Cynthia A. Phillips, Steven S. Seiden, "Processor Allocation on Cplant: Achieving General Processor Locality Using One-Dimensional Allocation Strategies," Conference Paper, IEEE International Conference on Cluster Computing, Chicago, IL, September 2002. Leung, Vitus J., Sandra S. Irani, "Experimental Results on Statistical Approaches to Page Replacement Policy," Conference Paper, Workshop on Algorithm Engineering and Experiments, Washington, DC, January 2001. Carr, Robert D., Lisa K. Fleischer, Vitus J. Leung, Cynthia A. Phillips, "Strengthening Integrality Gaps for Capacitated Network Design and Covering Problems," Conference Paper, ACM-SIAM Symposium on Discrete Algorithms, San Francisco, CA, January 2000. Witkowski, Walter R., Joseph Jung, Clark R. Dohrmann, Vitus J. Leung, "Finite Element Meshing Approached as a Global Minimization Process," SAND Report, March 2000. Leung, Vitus J., Society/Professional Leadership, PhD Thesis Committee, Boston University, February 11, 2016 – April 19, 2018. Leung, Vitus J., Society/Professional Leadership, Program Committee, COLOC Workshop, February 1, 2018 – August 28, 2018. Leung, Vitus J., Society/Professional Leadership, Program Committee, Summer Computing Simulation Conference, November 1, 2017 – July 22, 2018. Leung, Vitus J., Society/Professional Leadership, SBIR/STTR Programs Review Panel, The Office of Advanced scientific computing in the Office of Science at the US Department of Energy, December 13, 2017 – January 23, 2018. Leung, Vitus J., Society/Professional Leadership, Technical Program Committee, 7th International Conference on Advances in Computing, Communications and Informatics, December 18, 2017 – September 22, 2018. Leung, Vitus J., Society/Professional Leadership, Technical Program Committee, Symposium on VLSI Design and Embedded Computing, February 15, 2018 – September 22, 2018. Leung, Vitus J, Society/Professional Leadership, Member of the Program Committee, COLOC Workshop, March 14, 2017 – August 29, 2017. Leung, Vitus J, Society/Professional Leadership, Poster Committee Member, The 26th International Symposium on High Performance Distributed Computing (HPDC), April 24, 2017 – June 30, 2017. Leung, Vitus J, Society/Professional Leadership, Program Committee, 17th IEEE/ACM International Symposium on Cluster, Cloud, and Grid Computing, June 28, 2016 – May 17, 2017. Leung, Vitus J, Society/Professional Leadership, Program Committee, Summer Computer Simulation Conference (SCSC), November 2, 2016 – July 12, 2017. Leung, Vitus J, Society/Professional Leadership, Reviewer, Parallel Computing, May 25, 2009 – December 19, 2017. Leung, Vitus J, Society/Professional Leadership, Reviewer, IEEE Transactions on Dependable and Secure Computing, January 25, 2016 – January 28, 2017. Leung, Vitus J, Society/Professional Leadership, Technical Program Committee, IEEE International Conference on Advanced Computational and Communication Paradigms, May 27, 2017 – September 10, 2017. Leung, Vitus J, Society/Professional Leadership, Technical Program Committee, Third International Symposium on Emerging Topics in Circuits and Systems (SET-CAS), February 18, 2017 – September 16, 2017. Leung, Vitus J, Society/Professional Leadership, Technical Program Committee, Symposium on VLSI Design and Embedded Computing (VDEC), February 24, 2017 – September 16, 2017. Leung, Vitus J, Society/Professional Leadership, Technical Program Committee, Sixth International Conference on Advances in Computing, Communications and Informatics (ICACCI), December 11, 2016 – September 16, 2017. Leung, Vitus J, Invited Talk, Unveiling the Interplay Between Global Link Arrangements and Network Management Algorithms on Dragonfly Networks, Fourth Workshop on Programming Abstractions for Data Locality (PADAL), August 3, 2017. Leung, Vitus J., Society/Professional Leadership, External referee for a PhD thesis, Grenoble Institute of Technology, July 19, 2017 – October 12, 2017. Tuncer, Ozan, Emre Ates, Yijia Zhang, Ata Turk, James M Brandt, Vitus J Leung, Manuel Egele, Ayse K Coskun, Award, Gauss Award, German Gauss Center for Supercomputing, This award is assigned to the most outstanding paper in the field of scalable supercomputing accepted to ISC HPC, June 19, 2017. Leung, Vitus J, Society/Professional Leadership, Reviewer, Mathematical Reviews, October 29, 2008 – December 22, 2016. Leung, Vitus J, Society/Professional Leadership, Reviewer, Journal of Scheduling, February 26, 2008 – June 1, 2016. Leung, Vitus J, Society/Professional Leadership, Technical Program Committee, SummerSim'16, January 21, 2016 – July 27, 2016. Leung, Vitus J, Society/Professional Leadership, Technical Program Committee, SET-CAS'16, January 4, 2016 – September 24, 2016. Leung, Vitus J, Society/Professional Leadership, Technical Program Committee, 5th International Conference on Advances in Computing, Communications, and Informatics, January 4, 2016 – September 24, 2016. Leung, Vitus, Society/Professional Leadership, Reviewer, IEEE Transactions on Parallel and Distributed Systems, September 14, 2014 – December 14, 2015. Leung, Vitus, Society/Professional Leadership, Reviewer, Simulation Modeling Practice and Theory, February 19, 2015 – March 27, 2015. Leung, Vitus J, Society/Professional Leadership, Minisymposium Organizer, SIAM Conference on Computational Science and Engineering, August 11, 2014 – March 18, 2015. Leung, Vitus J, Society/Professional Leadership, Program Committee, 12th Workshop on Models and Algorithms for Planning and Scheduling Problems, September 25, 2014 – June 12, 2015. Leung, Vitus J, Society/Professional Leadership, Program Committee, 21st International European Conference on Parallel and Distributed Computing, November 17, 2014 – August 28, 2015. Leung, Vitus J, Society/Professional Leadership, Reviewer, International Journal of High Performance Computing, December 15, 2014 – June 10, 2015. Leung, Vitus J, Society/Professional Leadership, Reviewer, Simulation Modelling Practice and Theory, February 19, 2015 – June 2, 2015. Bender, Michael, David Bunde, Vitus J. Leung, Samuel McCauley, Cynthia A. Phillips, Invited Talk, "Efficient schedulig to minimize calibrations", Workshop on New Challenges in Scheduling Theory, April 3, 2014. Leung, Vitus J, Society/Professional Leadership, Minisymposium Organizer, SIAM Conference on Parallel Processing for Scientific Computing, October 31, 2013 – February 21, 2014. Leung, Vitus J, Society/Professional Leadership, Program Committee, Second International Workshop on Advances in VLSI Circuit Design and CAD Tools, December 12, 2013 – September 27, 2014. Leung, Vitus J, Society/Professional Leadership, Reviewer, IEEE Transactions on Computers, September 28, 2009 – March 5, 2014. Leung, Vitus J, Invited Talk, Simulation and Optimization of HPC Job Allocation for Jointly Reducing Communication and Cooling Costs, Knox College, May 14, 2014. Leung, Vitus J, Invited Talk, Task Mapping Stencil Computations for Non-Contiguous Allocations, Workshop on New Challenges in Scheduling Theory, April 2, 2014. Leung, Vitus J, Invited Talk, Zoltan2: Exploiting Geometric Partitioning in Task Mapping for Parallel Computers, PADAL Workshop 2014, April 29, 2014. Leung, Vitus J, Society/Professional Leadership, Minisymposium organizer, SIAM Conference on Computational Science and Engineering, October 1, 2012 – March 1, 2013. Leung, Vitus J, Other External Recognition, Outside Examiner, Knox College, May 14, 2013. Leung, Vitus J, Society/Professional Leadership, Program Committee, 20th IEEE International Conference on High Performance Computing, January 27, 2013 – December 21, 2013. 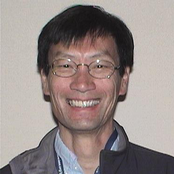 Leung, Vitus J, Society/Professional Leadership, Reviewer, Theory of Computing Systems, November 10, 2009 – March 13, 2013. Leung, Vitus J, Society/Professional Leadership, Reviewer, LLNL, August 19, 2013 – September 6, 2013. Leung, Vitus J, Society/Professional Leadership, Session Organizer, INFORMS Annual Meeting, August 12, 2013 – October 9, 2013. Leung, Vitus J, Invited Talk, Task mapping for non-contiguous allocations, Boston University CISE, May 20, 2013. Leung, Vitus J, Invited Talk, Backfilling with guarantees granted upon job submission, New Challenges in Scheduling Theory, October 25, 2012. Leung, Vitus J, Society/Professional Leadership, Minisymposium Organizer, SIAM Conference on Parallel Processing for Scientific Computing, October 16, 2011 – February 17, 2012. Leung, Vitus J, Society/Professional Leadership, Reviewer, DOE ASCR, September 6, 2012 – October 29, 2012. Leung, Vitus J, Invited Talk, Subgraph isomorphism in a multithreaded shared memory architecture, Knox College Computer Science Department, September 19, 2012. Leung, Vitus J, Society/Professional Leadership, Program Committee, International Conference on Distributed Computing Systems, October 13, 2010 – June 24, 2011. Ballance, Bob, Bob Benner, Courtenay Vaughan, Cynthia Phillips, Gerald Quinlan, James H Laros, III, Jim Tomkins, John VanDyke, Keith Underwood, Kevin Pedretti, Lee Ann Riesen, Lee Ward, Len Stans, Linda Bonnefoy-Lev, Michael Levenhagen, Patricia Brown, Paul Iwanchuk, Rolf Riesen, Ruth Klundt, Suzanne Kelly, Trammell Hudson, Vitus Leung, William J. Camp, Award, Excellence in Technology Transfer, Federal Laboratory Consortium, Red Storm Massively Parallel Processor, April 29, 2010. Leung, Vitus J, Randall A Laviolette, Invited Talk, Braess-Like Paradox on a Bipartite Exchange Network: More Connections are Not Always Better, New Challenges in Scheduling Theory, September 12, 2010 – September 17, 2010. Leung, Vitus J, Invited Talk, Parallel Job Scheduling Policies to Improve Fairness: A Case Study, Knox College Department of Computer Science, November 2, 2010. Leung, Vitus J, Society/Professional Leadership, Reviewer, Mathematics of Operations Research, July 27, 2009 – July 14, 2010. Leung, Vitus J, Michael A Bender, David P Bunde, Cynthia A Phillips, Patent, "Allocating application to group of consecutive processors in fault-tolerant deadlock-free routing path defined by routers obeying same rules for path selection," No. 7,565,657, July 1, 2009. Leung, Vitus J, Invited Talk, Braess-like paradoxes on a bipartite exchange network: More connections are not always better, INFORMS Annual Meeting, October 11, 2009. Leung, Vitus J, Society/Professional Leadership, Breakout group co-leader, NSF Workshop on the Science of Power Management, April 7, 2009 – April 10, 2009. Leung, Vitus J, Society/Professional Leadership, Program Committee, ACM Symposium on Parallelism in Algorithms and Architectures, December 1, 2008 – August 13, 2009. Leung, Vitus J, Society/Professional Leadership, Reviewer, Journal of Water Resources Planning and Management, February 26, 2009 – December 1, 2009. Leung, Vitus J, Professional Society Promotion, Senior Member, ACM, May 7, 2009. Leung, Vitus J, Review Board, Small Data Centers and Grid Computing Panel, National Science Foundation, April 15, 2009 – April 30, 2009. Leung, Vitus J, Invited Talk, New Experimental Results in Communication-Aware Processor Allocation for Supercomputers, New Challenges in Scheduling Theory, May 12, 2008 – May 16, 2008. Leung, Vitus J, Society/Professional Leadership, Reviewer, Journal of Parallel and Distributed Computing, September 10, 2007 – July 12, 2008. Leung, Vitus J, Michael A Bender, David P Bunde, Kevin T Pedretti, Cynthia A Phillips, Award, Compute Process Allocator (CPA), R&D 100, October 19, 2006. Leung, Vitus J, Review Board, Early Career Principal Investigator Panel, Department of Energy, March 29, 2006 – March 30, 2006. Leung, Vitus J, Invited Talk, Fairness of Job Scheduling in Cplant, Scheduling Algorithms for New Emerging Applications, May 29, 2006 – June 2, 2006.